Before the Archive we have today, Chrishall Museum was housed in a large site caravan and for a while was actually mobile! 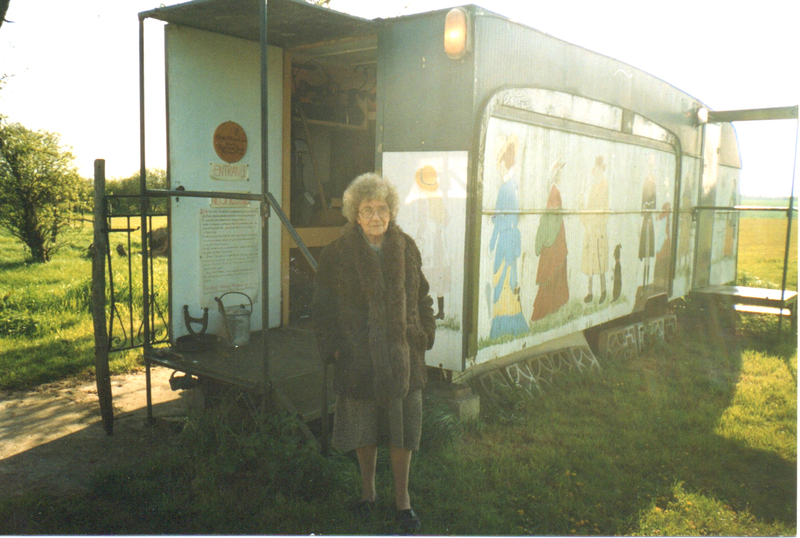 This mobile museum travelled round the county visiting shows at Wimpole Hall and Radio Cambridgeshire. It was immensely difficult taking a very large caravan full of delicate – and some very heavy – objects around the place so after a few years it became static and was based at the back of Ramblers in Crawley End, Chrishall. Above you can see Irene Cranwell outside the museum and also some of the historic village figures that she painted all round the museum. During this time Irene Cranwell, Village Historian, was filmed by Ernie Dalton, describing some of the aspects of the museum and you can see these videos below. These videos were filmed in the early 1990s and have been rescued from old CD versions so their quality is not of the highest but bearable to watch and the audio is fine. All of the photographs shown in the videos are still held by the Archive of course. Many of the smaller objects we still have too and can be seen in the current Archive. When the mobile museum was eventually closed a lot of the larger items and tools went to Ashdon Village Museum where you can see them today. How lovely to be able to see and hear this film. Thank you for putting this up. Mrs Cranwell reminded me of her Cousin, my Aunt Bess with her lovely Essex dialect. I’m glad you enjoyed it Angela. 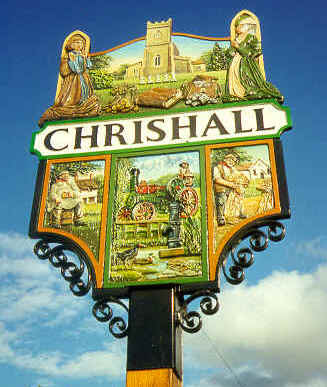 We have some more video coming soon – slightly more recent this time but if you were at Chrishall school in the 1960s or 1970s keep an eye out! !